I’m not going to blog all the Diagrams on here because this is a static guide page for you to look at. Diagrams 4a, 4b, 4c and 5 – CORE Engine Laser Beams Steering, Landing and Lift off Instructions was blogged on Sat 7 February, 2015. Click on the calendar on the right side of the blog to find the instructions to build the Crystal CORE UFO Engine, Steering Directions, Landing and Lift Off instructions for Planets, Asteroids and Comets. Also ancient astronauts Mayan’s crop circles and stone hedges showing how to travel in deep space during certain times and seasons. Diagrams 6, 7, 8, 9, and 10 – Crystal Lattice UFO Engine – laser beams, diffractions, obsidian mirrors, NODES and six Quadrupole Magnets used to create a Higgs Electric Field. 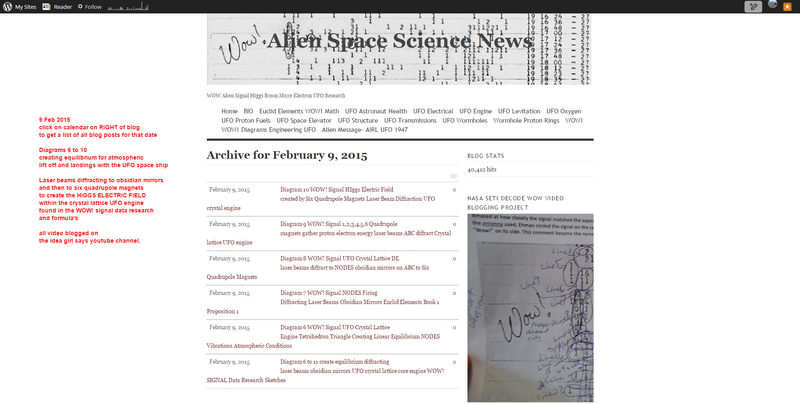 This was blogged on Monday 9 February 2015. You can click on the calendar on the right side of the blog to look at all of them. closed end of a traversable wormhole” blogged on wednesday april 8, 2015. most are sketches, didn’t take the time to make fancy diagrams for these ones. see the link here for everything blogged that date. Diagrams 14 – 19 are instructions on how to create hyperbole space with a horizontal axis for minkowski space time, using the CORE engine of the UFO, laser beams, semi conductors, NODES, wires, a turbine and how to create two traversable wormhole ends from the crystal lattice engine – blogged on 15 April, 2015, most are sketches. see the link for everything blogged that date. Diagrams 20 – 24 are instructions on how to generate the ENDS of the Traversable wormholes, indirect and direct isometry, rigid motions, how the proton energies spin to create the cooled plasma Tevatron Power and Higgs Ballistic Transport Formula’s. blogged on 16 April 2015, most are sketches. Diagrams 25 – 27 are instructions on how we will achieve Ballistic Conduction and Transport with the WOW! Signal UFO Engine. Electron flux around the CORE ENGINE of the UFO space ship, the medium on how the electron’s will travel through a wormhole into deep outer space. blogged on 18 April 2015, most are sketches. Diagrams 28 – 34 continue the Ballistic Conduction and Transport Engine – the crystal wafers, graphite films in a crystalline lattice UFO engine, how electrons flux with laser beams, obsidian mirrors, Higgs Boson Signal, with the WIRES of the NODES, dancing through electron holes, creating ring dot quantum dots, blogged on 20 April 2015, most are sketches. Diagram 44 , shows the activity between the laser beam signals, graphite films, magnetic forces and boson particles carrier momentum, sketches only. Diagram 64, 65 are the cube matrix area of the Y crystalline UFO engine structure made of martensite steel, with formed dispacive transformation caused by the flat thin plate graphite surfaces mixed in with crystal grains. Diagram 66 shows a cross section of the embedded crystal grains inside of the obsidian mirrors glass with acicular needle shaped crystals, did more google search and found information about braggs law to neutron diffraction, with muon (new technology added). I blogged all the “previous videos” with their formula’s and notes, any keywords, I googled for pictures so you could see what it means. blogged 8 June 2015 see posts and my sketches and other images here. Diagrams 67 – 71 were blogged in the past few days.showing the inner crystalline walls, copper atoms, diamonds, graphite and crystal grains used to generate quantum flux in particles, NODES, zincblende unit cells, obsidian glass mixtures, cubic, matrix, algorithms, transistors, semi conductors, higgs boson signals and spinning, particle changes in flux. Diagrams 72, 73 showing us the CORE engine and the laser beams, obsidian mirrors, signals creating a long distance frequency signal for deep space communications. with 49,574 hits june 23, 2015. Diagrams 74 – 77 repulsive quantum forces, CORE opposite of Casimir Forces, airlift currents, negative mass energy, obsidian mirrors, magnetic forces, HEF, laser beams diffract, quantum flux of copper atoms , stable and unstable properties, creating 5 new Higgs Boson particles for a new standard model, hyperbole space, NODES and RF mhz signals frequencies, super alloys, metal particles within a network for deep space communications. Diagrams 83, 84 Vacuum created in Y two super lattice crystalline walls of UFO Engine, graphite film wafers, particle symmetry with neutrinos colliding with other named particles in formula, gold levitating sphere (CORE) is separated by vacuum’s , liquid argon gas , water molecules vapours, diagram shows each level of particles and where they are in it. Diagrams 85, 86 pencil, electron ribbon laser beam signals diffracting off obsidian mirrors on either side of Y structure of crystalline UFO engine design. Electron Holes, hyperbole space in the vacuum portion of the engine, higgs boson particles colliding in the center of the tetrahedron triangle A,B, C is upright in this diagram 86. Diagrams 89 – 92 flexible bendable metals, particle effects in liquid hydrogen fluids when metals are submerged, silicia, copper atoms, forces switch from negative to positive mass density, creating repulsive forces. Diagrams 93 – 95 meta materials change to semiconductors in casimir forces, forward, reverse controlled to uncontrolled higgs boson particles, capasso’s group data (to be searched, images sketched and added to diagrams in future search), bizarre quantum effects, positive density, repulsive bosons, magnetic force, quantum dance particles, pivotal pi orbitals change particle mass properties and electron properties to + plus positive, – negative, 0 zero (mass or electron charge in particles), amplify frequencies from deep space travels to Earth’s satellites. Diagrams 96 notes from Diagram 95 & 96 – previous videos , my thoughts electrical universe = dark matter particles, Diagram 96 magnetic confinement – casimir forces in HEF higgs electric field, using obsidian mirrors with hematite in them. Formula notes, my thoughts in between Diagram 96 and Diagram 97 – Diagram 97 shows how the neutrino’s went faster than the speed of light at Cern fermilabs test results july 2012 for Higgs Boson Particle – god particle, with sketches on my theory of how we can do this again, and use it! 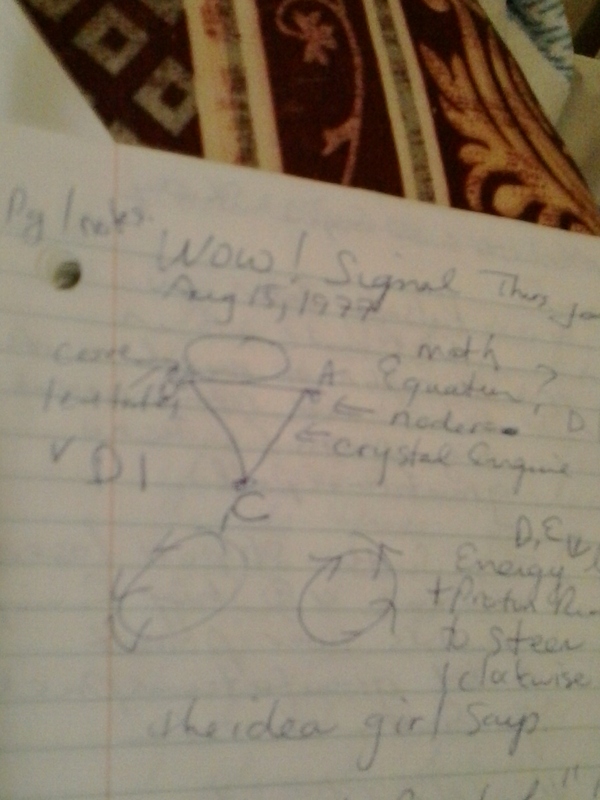 formula notes and Diagram 97 pages 76, 77 with several videos to blog from Line 18 az3z2b to 2b8, Diagram 98 shows how the higgs electric field in the vacuum of the two crystalline super lattice walls in the UFO engine add mass to particles during quantum flux with atoms and pi orbitals being the main factor in the changes. Diagram 103 continues from (Diagrams 99 – 102) showing how the Higgs Boson Particles with laser beams is adding Mass to particles and with laser beam pulses in certain sections of the crystalline UFO engine we can steer the CORE of the space ship North, South, Diagram 104 shows how to do EAST, WEST. Diagram 107 continues from Diagrams 99 106 with the inner components to the UFO engine design. It shows how the NODES are affected by quadrupole and monopole magnets, along with Higgs Electric Field and the Higgs Boson Particle signals, with electron ribbon pencil laser beams, and piezoelectric crystals. Diagram 108 shows the Higgs Electric Fields generated around the NODES, quadrupole, monopole magnetic quantum flux forces, Higgs Boson particle signals and bouncing back and forth between the monopole magnets – creating a quantum dance in this section of the UFO engine design. Diagram 112 shows how to create the tetrahedral prisms with piezoelectric crystals and high heat temperatures, Diagram 113 shows vertex diffracting laser beam directions, Diagram 114 is the schelegel diagram of a triangle within a triangle, and Diagram 115 shows the tetrahedron connections and mirror images within the UFO engine design’s structure. Diagram 116 – 121 shows how negative positive mass energy is used to shrink space time travels in outerspace using electrical negative positive charges, copper atoms, crystalline lattice, pi orbitals, protons and electrons and create Alcubierre’s Drive Theory. Diagram 122 shows the changes of Plasma and how it goes from solid, liquid and gas in the proton rings of the UFO engine design. Diagram 123 muon decay process to electron antineutrino. Diagram 124 Pions to Muon to muon neutrino. Diagram 125 proton to pion to muon to negative charged electron. Diagram 126 negative charged muons to antimuons positive charge, two up quarks and one down quark, positron e- negative electron to antielectron with spin of 1/2 in gamma rays = electromagnetic radiation high energy photons, muon positron to negative quarks. within the proton rings that spin in the UFO engine Y crystalline structure. Diagram 127 continues the thoughts of Diagrams 126 and 128, where it shows the particles quantum flux with electron positron annihilation, the laser beam firing and neutrino, quantum photons at 511 KEV and the triangle waveform paths they will take from the D- side of the obsidian mirrors across the Y crystalline super lattice engine to the E side of the obsidian mirrors and continue a cycle from A to G on the diagram locations shown. Diagram 128 is a quantum photon to e- negative electron to e+ positive electron, positron to a quantum photon – Feynman Diagram of Electron – Positron Annihilation (collide e +/- with e+ generates quantum flux of particles in the UFO engine design. see Diagram 129 to see how colliding e- electron and e+ positron an electron antiparticle creates gamma ray photons, conservation of linear momentum, kinetic energy (motion). 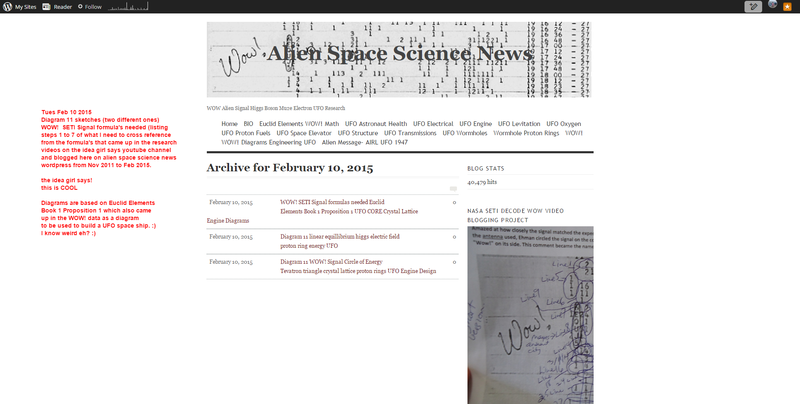 Diagram 130 alien radio signal WOW! 6EQUJ5 – quadrupole magnets, electrons, quantum flux, muon, joules, five axial forces, energy transferred, y photon quantum, quarks – bottom, top, charm, letpons, vu muon neutrino, tau, W boson forces, negative pressure in outerspace, repulsive gravitational force in dark matter particles. Diagram 131 Barry Adams Five Axial forces – negative pressure in space, repulsive gravitational force, 0 mass, 0 energy, 0 KE in particles. Diagram 132 is instructions to create Dark Energy – spin neutrinos in plasma, proton rings in the UFO engine to create magnetic forces with Dark Energy. Diagram 133 neutrino mass solar oscillations results Barry Adams five axial forces continues,neutrons mirror neutrons,WiMP Dark Matter, Diagram 134 Collision of particles merges to electroweak forces, equations of mass, W+, W- , Z bosons> protons, neutrons, Diagram 135 radio active beta decay – proton electron, electron anti neutrino, see Diagram 135 notes pages 13, 14, 15 of blue book notes 1, section II in next date for blog posts. with 54,130 hits on 18 September 2015. Diagram 141 dipole +/- positive negative electrons in a particle for the electromagnetic field between graphite gold copper superalloy mixtures from the WOW! data instructions for generating quantum flux in the UFO engine. Diagram 142 is the layout of positive and negative electrons creating magnetized poles, electric charge molecules to create quantum levitation with objects in the UFO engine vacuum or outside of it. Diagram 143 is Vander Waal’s forces for 2 atoms, 5 nanometers of each other – polar molecules interaction instructions. with 54,199 hits on 19 September 2015. Diagram 144 A Zincblende Unit Cell goes with instructions to Diagram 67 NODES nanowires crystalline lattice laser signals for long distance communications. Diagram 145, Diagram 146a positive negative charges to make an object positive or negative charged or Zero – neutral, electrostatic induction, electromagnetic radiation energy – radiant quantum flux energy generated. Diagram 146b Higgs Electric Field spins clockwise as particles pass between two levitating graphite plates and quantum fluctutions occur. Diagram 146c copper atoms, gold particles , ligands, super alloy mixtures collide with particles for quantum casimir lifitz forces to be added. Diagram 146d switchable positive negative forces nanoscale devices ultra low friction static, quantum levitation, while immersed in a fluid. Diagram 147 cube matrix structure with delimits for colliding particle mixtures and diffracting laser beams for quantum fluctutions to particles passing through this area of the vacuum in the UFO engine crystalline structure design idea, it’s mixing cooled plasma with cooled liquid argon gas, jets of steam water molecules and neutrinos to generate E+ Electrons in a super conductor that changes particles to METALs. Diagram 148 creating individual quantum flux nanotubes that collide particles with cooled plasma, liquid argon gas changes one neutrino particle to have -/= mass and +/- electrons inside of it., Diagram 149 collisions of these new properties in the neutrinos with leptons, spin, protons, electrons, fermion particles, Higgs Bosons – creates mirror image symmetry with Higgs Bosons. changing the laser beam injections for mass object velocity accelerations in outer space travels. Diagram 150 higgs boson signals mixtures with laser beam signals to add mass to object, accelerating it in deep space travels, Diagram 151 the NET force velocity changes as the mass adds and subtracts from the UFO space ship design to accelerate or inversely decreases mass and velocities. Diagram 153 has several videos HERA ONE – HERA SIX, laser beam signals passing through a obsidian Sphere, Line 18a3z5a, Line 18a3z2b5 and b tagtging HERA Higgs Boson Particle Decay Signal Bottom Quarks CERN also blogged with original formula notes which will be further explained as they come up in the WOW obsidian mirrors formula research data ; Diagram 154 how to find sparkles neutrinos, JANET CONRAD’s DATA, combined with DARK MATTER, Higgs Boson Particle Signals with UFO engine to create staying power and larger MASS in the particle, Diagram 155 converting Gamma RAYS, Liquid ARgon GAS into Laser BEam Neutrino signals, colliding particle data combining results with (CML, ATLAS, CERN, TEVATRON, W7 STELLERATOR COLLIDER), particle accelerators combine powerful energies. Diagram 156 higgs signal CERN 2012 spin, interact, magnetic forces on particles in a higgs electric field, higgs boson signals in the crystalline Y structure of the UFO engine design. Diagram 157 atoms rise interactions with particle mixtures – nuclei, neutrinos, split fermions, leptons, higgs boson particles with mass, higgs boson signals, and laser beams. Diagram 158 – electron ribbon laser beams, hitting the crystalline mesh superlattice walls, Diagram 159 graphite crystal magnetic wafers, obsidian mirrors deflect laser beam signals, interactions, collisions of particle quantum flux mixtures. Diagram 160 shows crystal powders, large membrane vesicales within the carbon nanotube vacuums we will create inside the vacuum of the UFO engine design’s Y crystalline super lattice structure. Diagram 161 bendable flexible metal resists compressive stress, and pressures from dark matter particles in UFO engine exterior shell space ship design, Diagram 162 speed of light creating nuclear reactions with neutrino particles colliding inside the vacuum of the Y crystalline superlattice walls of the UFO engine desgin. Diagram 162 shows Liquid formula notes (two posts) and how to collide neutrinos creating an acceleration of the speed of light in a nuclear reaction in the fuel system of the UFO engine design. Diagram 167 Nuclear atoms spins in five axial forces changing and making new quantum boson particles (5 of them) as neutrinos that spin collide and split 4 fermions, and 3 leptons, unit vector spins over hyperbole space created above the UFO engine’s CORE engine as it has a dipole-dipole magnetic moments. Diagram 168 nuclear spins in certain directions with no magnetic field, and different spins in a magnetic field (higgs electric field), Diagram 169 electron pencil laser beam inverts diffract laser beams onto magnetized particles from the two obsidian mirrors on either side of the vacuum inside the Y crystalline super lattice UFO engine structure. Diagram 170 electron holes created in the crystalline graphite wafers super lattice mesh walls, flurosolar laser beam gun. Diagram 171 creating a pulsating loop TEVATRON proton ring of recycling fuels, electricity and Power for the CORE UFO engine. Diagram 172 electron excited spins, atomic nuclei, paired particles creating stable molecules inside the vacuum of the UFO engine design. Diagram 173 W1, Z1 bosons with electron holes, electrons paired generation valence band – creates metal semi conductors with the particles in new quantum physics. Diagram 174 Anisotropic interactions, Zeeman Effect splits magnetic field, symmetric wave lengths, nuclear spin level changes in UFO engine’s vacuum. Diagram 175 spin positive negative with bendable metals. Diagram 176 rotating high frequency, MAS Magic angle spinning, BO – Magnetic Field (higgs), cross polarization transmitters. Diagram 182 periodic function repeats its values in regular intervals, Peak RF Frequencies between EArth and Pluto using Satellites to capture RF Frequency signals. Diagram 183 cooled atoms, diffracting Red visible light laser beams, blue visible light laser beams, criss cross a Linear Path – Higgs Boson travels on laser beam, Coated atoms create transport signals. Diagram 184 cross weave of laser beam signals on the Higgs Boson particle amplifying it’s signals to other particle to create quantum flux. Diagram 185 higgs boson bounces between two delimits creating spacelike to timelike in minkowski space time with a cross weave of blue, red visible light laser beams in wavelengths. Diagram 186 my sketch of minkowski space time space like separation speed of light (higgs bosons) into future space like events. Diagram 187 cone of sound triangular wave forms with higgs boson signals, flurosolar laser beam gun invention, water molecules and vapour inventions (yet to be named in data formula instructions – I have the patent #’s for them on file! all in the VACUUM portion of the UFO engine design. 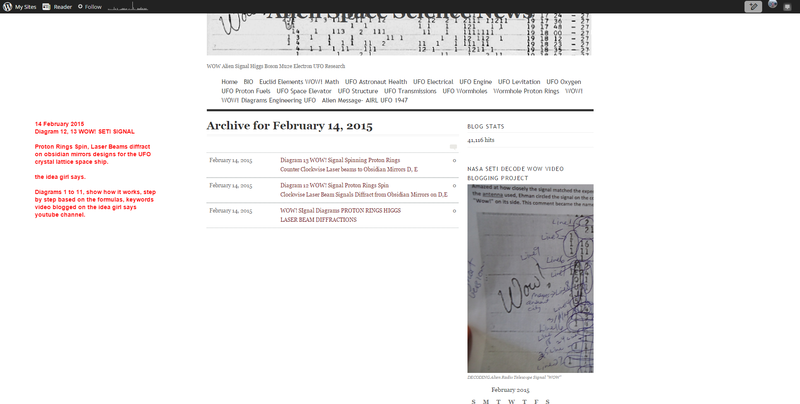 Diagram 188 serial communications MIME content binary transfer encoding to mirror the 6EQUJ5 WOW! Signal transmission. Diagram 189 triangular magnets, clockwise rotation, counterclockwise motions, matter waves with condensate of atoms in a magnetic field. Diagram 190 triangle magnets – pointing north, south pi orbitals in supercomputing. Diagram 212 voltage 90° degree phase shift aliases signals on X and Y axis showing voltage leads current by 0 Zero ( higgs boson particles and Higgs Electric Field RESTS at 0 Zero) in the UFO Engine Quantum Particle Accelerator – space times change from past, present to future in the traversable wormhole – Minkowski Space Time is achieved. Diagram 213 Phase relates to full cycle of 360° degrees – electromagnetism, inductance notes for the super conductor in the UFO engine . Diagram 214 Oerstead’s Law current carrying wires in NODES – B Higgs magnetic field around wires in NODE, Diagram 215 each NODE creates a “mirror image” that aliases it’s signals into Higgs Electric Fields around EACH NODE of wire signals. Diagram 216 Nodes diffracting laser beam signals (continues from Diagrams 214, 215, 217 ,218 starting at diagrams 200) – obsidian mirrors create aliases signals in and around NOdes , Diagram 216 shows how the Higgs Magnetic Fields are created into 3 aliases signals around each NODE within a Higgs Electric Field in a UFO crystalline super lattice engine design, Diagram 218 UFO engine creates traversable wormhole and deep space travel paths to EArth in Minutes, instead of it taking months, years or centuries to travel around our galaxies in outer space. Diagram 219 NODES wires receive and send proton neutrino laser beam signals to MA particles (metal alloys) creating a super conductor -with inductance and Orsted’s Law. Diagram 220 Cosmic Strings connect the ends of a traversable wormhole, a linear path for the UFO space ship to follow has crystal grains on the left, ultra cold rubidium atoms, liquid argon gas on the right, as it reaches the end wormhole, water molecules solidifies and freezes into ICE, Cracks in the Dark MATTER fabric materials appear in outerspace. CMBR Cosmic Micr4owave backgroun radiation – thermal radiation is on the LEFT of this wormhole. Diagram 221 cooled plasma spins radiation, electrons, protons combine into neutral atoms. Diagram 222 negative mass energy repels -E negative electrons -P negative protons in the negative mass of dark matter particles. confined space in a higgs electric field, cosmic light, photons space time freely, = asymptotic freedom , free quarks, gluon plasma, higgs boson in high temperatures. Diagram 223 QCD Higgs Boson creates bonds as E++ Energy increases and particles distance decreases forming bonds, see Diagram 224 for more instructions on this. Diagram 224 Energy increases with Higgs Boson spinning in the Higgs Electric Field UFO quantum particle accelerator creating bonds as distance decreases between colliding particles with the Higgs Bosons, Temperature and Density increases inside the Higgs Electric Field, adding stress on particles. Diagram 225 Higgs Electric Field affects 3 Quarks binding them together with either low or high energies, 2 Quarks binding them together for mesons and pions. Definition of matter particles – quarks, or six quarks to make a Proton or Neutron (mirror images of particles with a particle), Diagram 226 Proton UP/DOWN quarks, gluons, binding them together in a particle. Diagram 227 traversable wormholes that are used to increase bandwidth laser communications from other galaxies to Earth, by using a UFO engine design crystalline super lattice Y structure vacuum particle accelerator. It has 5 linear paths, that add mass, subtract mass using higgs bosons and other particles that travel along this laser linear path from one end of a wormhole to another millions of light years away… Diagram 228 electron ribbon laser beam signals, proton rings, tevatron energies, water vapour molecules, in a super lattice crystalline walls of the UFO engine, with graphite film plates for communications, transporting a UFO engine in outer space design. Diagram 228 a cross section of the UFO engine’s quantum particle accelerator, electron ribbon pencil laser beam signals, ultra cold rubidium atoms, electron holes, water vapor molecules change to gas or liquid, graphite film plates, Y crystalline super lattice wall structure, Higgs Electric Field, proton rings, Tevatron Energies, displacement algorithms, diffracting laser beam signals – where they are located in the UFO engine design. Diagram 229 super alloys diffracting laser beam signals with obsidian mirrors, super alloys, bendable flexible metals in NODES as the super conductors change shapes. Diagram 230 the NODES become super condutors, and a RF Frequency laser beam signals go from the right side of the UFO engine’s obsidian mirror into the traversable wormhole, which amplifies, it’s bandwidth from millions of light years to communicate with Earth in minutes or seconds. Diagram 231 -W, -Z 0 Zero mass for the Higgs Boson particle and 5 new Higgs Boson particles (yet to be named or discovered on Earth Jan 19, 2016), learn how to make a Higgs Boson particle rest at 0 Zero mass, and become a symmetric particle, along with the 5 new Higgs boson particles (they become symmetric, and the neutrinos particles carry a charge of +/- positive and negative forces. Diagram 234 classical spin particle, electron, north, south axis of magnetism, total spin or mass. Diagram 235 nanobots, nanotechnology, vacuum channel transistor, voltage, logic gate UFO engine design, creates electric field, in a semi conductor with cathode, anode, oxide layer, below the graphite film, voltage, current flow. Diagram 236 Piezoelectricity crystals with pressure and Higgs Electric Signal creates a phase transition from solid, to Tetragonal to Cubic Matrix shapes for the UFO Engine Design. Diagram 237 Phase Transition algorithms, measurements, for Tetragonal to Cubic, with a Chemical Transition using Titanium, Oxygen Atoms and a Dipole Moment. Diagram 238 EOS Curves Cubic to Tetragonal Phase, Unit cell volume values, PT Structure Tetragonal to Cubic in a Piezoelectric Process. Diagram 239a,b Tetragonal Frequency, Volume, Pressures High and Lows, Values shown in the Piexolectric Process of Phase Transitions from Tetragonal to Cubic. Diagram 240 Stretching Ti to 0 ZERO Vibrational MOdes , bonds, axial , eqautorial planes, from Cubic to Tetragonal, higher stability states, with same volumes. Diagram 241 Nano Electronic Brain UFO Super Computer Processor Speeds, Diagram 242 millions of bits lost, millions of bits gained in new UFO super computer Nano Electronic Brain. Diagram 243 Brains switch Nanotechnology from Biology, Construction, Manipulation of bendable flexible metals. Diagram 244 stabilizing one end of a wormhole while the other half of it travels to other galaxies. Diagram 245 – Quantum Casimir Forces extract energies from the Vacuum UFO Engine. The CORE Engine is made up of gold plated beads and it levitates above the crystalline super lattice Y structure UFO Engine design, and holds together with AIR LIFT currents and Magnetic Forces. Diagram 246 – Repulsive Quantum Casimir Effect Forces and Quantum Flux with Silicia Plates affecting the particles and laser beams that travel between it. Diagram 247 – Hyperbole space arc network with NODES, Tetrahedron Triangle cooled plasma, liquid argon gas to create communication frequencies for outer space. Diagram 248 – Air lift, plasma fluids flows between two UFO engines design instructions. Diagram 249 – Airfoil forces deflect, exert, Newtons 3rd Law, Lorenz Forces. Diagram 250 – Higgs Magnetic Fields, materials, Newtons 3rd Law, Lorenz Forces magnetized particles. Diagram 251 – Particles electric charges, spin, Higgs Magnetic Field extracts Photon particles. Diagram 252 UFO Y Structure Vacuum, Casimir Force is controlled. Breakthrough with Space Propulsion, Engine recycles Fuels, Electricity, Oxygen, creates Hydrogen Storage, and uses Hydrogen, Helium Atoms for Energy Extraction (positive electrons from the vacuum). Diagram 253 a,b, Hydrogen atom combines with electron , proton, uses neutrons to create a strong nuclear force to stick particles together. Charges Quantum Flux from 0 Zero to + positive or – negative. Electrons, with Helium Atom, has 2 protons, 2 neutrons, 2 electrons, adding mass and neutrons go to 3 quarks, 2 down and 1 up quark. Diagram 254 – nanoscale machines use ultra low friction as needed. The Y crystalline super lattice EAST, WEST walls, DElimits, and which particles to collide and what they can do – gold, crystals, tetrahedron triangle, W bosons, mesons, mass, Top Quarks, Ultra Cold Rubidium atoms, Vacuum separates Gold into Laser Frequency Signals, air fluid, pencil, electron ribbon laser beam guns placements with obsidian mirrors, cooled plasma, liquid argon gas, higgs electric field generates hyperbole space ARC communications network. Diagram 255 (extensive notes, many particle mixtures are revealed for the UFO engine particle collider) Diagram 255 really gives the particle mixture details for muon neutrino, muon, leptons, tau neutrinos, higgs bosons, crystals, plasma, liquid argon gas, electrons, fermions, super alloys, silica, liquid hydrogen atoms, helium atoms, liquid hydrogen fluid, water molecules, vapor mists guns, laser beam guns (three named so far), Decays of particles in the UFO quantum particle accelerator serves different functions, flexible bendable metal fibers for the EXTErior of the UFO space ships. Positive, Negative Mass Density Quantum Flux particles, GAAS, for super conductors – communication laser beam transmissions to EArth from other Galaxies, chemical reactants with the particles, , the mass of particles, Capasso scientists data (I have to google for most recent data. I did their specs in 2011, 2012.) anti particle properties, and a zillion other things that works with the Higgs Boson Laser Beam signals. Diagram 256 – electrons, muons, fermions, neutrinos and super alloys particle mixtures change metals from solid, to liquid to gas in the UFO quantum accelerator Y structure engine design. Diagram 257 – Capasso Scientists Change solid metals – super alloys, copper (found in WOW! formula) to Liquid to Gas (ultra cold to particles, molecules) that will bounce, collide with other particles to become magnetized or repulsive in the HIggs Electric Field Tevatron Ring and HEF higgs electric field created by EACH NODE (in the Y crystalline super lattice UFO engine structure). Diagram 258 – crystals mixing with particles for the long distance laser beam communications from UFO engine super lattice design. Diagram 259 – Higgs Electric Field, Higgs Boson Signals create superconductors with NODES Wire transmitters, Quantum Repulsive forces are created with colliding particles in UFO Engine Vacuum Design. Diagram 260 – adding silica, liquid hydrogen fluid affects meta materials, and particles with negative mass, positive mass densities, and forces, making them attractive or quantum repulsive, so that forces switch between them. Diagram 261 – Meta materials, quantum effects with Nanomachines, Gold Sphere (CORE Engine UFO control ship), Casimir Forces, Ultra Cold Rubidium Atoms, Repulsive force from plates between the CORE Engine and the Y Crystalline Super Lattice Walls UFO Engine Design. Line 22 7b242, research video and formula notes. Diagram 262 – Achromatic Metasurface Flat Lens Prisms Wavelengths of LASER Lights. Capasso’s Group Data. Obsidian Prism Crystals, colors bend within the GLASS. Diagram 263 – Gold Beads Silica Weak Repulsive Forces with clear quartz plates in the UFO Engine’s Vacuum Quantum Particle Accelerator Collider Engine Design. Diagram 264 – Two uncharged particles zero mass zero charge add Neutrinos to Higgs Bosons in the Higgs Electric Field to create a superconductor with the UFO Vacuum Engine design. Diagram 265 – Atom delimits, thermal conduction, transfer of internal energies from one atom to another. Diagram 266 – Atoms transfer energies both electrical and chemical. Diagram 267 – Townsend Avalanche aliases twin laser beam signals, creating liberated and ionizing electron paths with Anode, Cathode and D/C voltage sources. Diagram 268 – Townsend Avalanche of Electrons doubled twin laser beam signal in Triangle wave forms, add neutrinos to formula particle mixtures and create particle symmetry, heated (thermal conduction), laser beams speed of velocity and acceleration of the electron’s reactions. Diagram 269 – ionizing event with free electrons, anode, cathode, create mirror image signals in a strong higgs electric Field. Diagram 270 – Spinning clockwise Higgs Electric Field, a free electron collides with a molecule, gains energy as it goes on the laser beams linear path through the higgs electric field, and emits another free electron, which then collides as an ionization impact with other molecules with a positive charged ANODE. Diagram 271 – Raether limit, electrons, anode, DC Voltage algorithm or equation? number of collisions, free electrons, multiplication factor and gas gain values. Diagram 272 – Ballistic conduction extends to other quasi particles that receive laser beam signals from super lattice electron holes, NODES wires. Diagram 273 – Ballistic conduction, carbon nanotubes, silicon nanowires, add mass to quasi crystal particles. Diagram 274 – Electron Holes Laser signals affect Ballistic Conductors in Quasi crystals. Diagram 275 – Higgs, Neutrinos, Electrons, Electron Holes, laser beam signals affect massive Quasi crystal particles. Diagram 276 – Transport of Electrons through a medium, scattering of particles, molecules, light, radiation, moving particle collisions. Diagram 277 – Electrical resistivity, opposing +/- positive, negative electrical currents. Changing trajectories of particles with laser beam pulses # 1,2,3. Ions, electrons in plasma, electrodes in electrolytes. Diagram 279 – cathode, electrode, creates positive energy flows, energy states higher, lower (ground state), AToms, absorb energies, conventional currents, polarized electrical devices, electrical conduction. Diagram 280 – excited, lower states of energies, Higgs Field and Bosons reach zero (0) point value inside of the crystalline UFO engine lattice vacuum structure. Atmospheric, higher , lower pressures and free space devoid of dark matter particles. Diagram 282 – interacting particles, intersection, junctions, 1-D line twisted, particles moving under the geometrical constraints in the UFO engine’s vacuum structure. 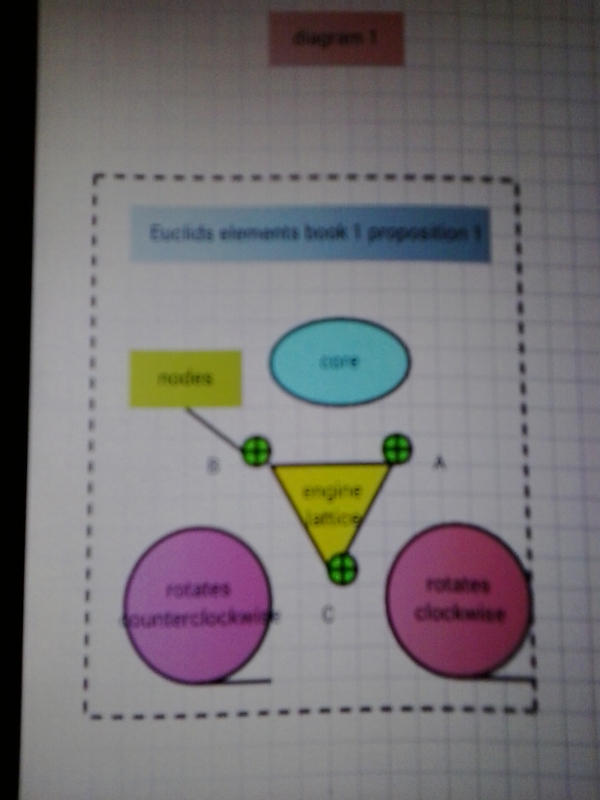 Diagram 284 – Isotropic Interactions, same measurements on axes, directions N, S, E, W for UFO space ship engine design. Diagram 285 – extra and missing electrons, ions, negative charge, velocity accelerations or deceleration instructions for the crystalline UFO engine design. Diagram 286 – medium – fluid vortex on a rotating axis for the UFO space ship to fly on a curved axis. Diagram 287 – Higgs Electric magnetic Fields created by the NODES in the crystalline UFO engine design, adds Meissner effect and changes the REST values to (0) ZERO or (+1) or (-1) positive, negative charges of the objects inside of the rotating vacuum particle collisions or rotating HIggs Electric Fields generated around the NODES. Diagram 288 – Magnetic flux spins to ^ up arrow for positive charge v down arrow for a negative charge in the rotating higgs electric magnetic fields created by the NODES in the UFO crystalline super lattice design instructions. Quantum Physics, calculate forces from particle interactions in the UFO vacuum design inside the crystalline engine. Properties change in objects and particles inside the HEF Higgs Electric Field. Diagram 289 – Meissner Effect creates magnetic field lines, affecting a super conductor created by the UFO crystalline engine design at critical low temperatures expelling magnetic flux. Diagram 290 – Higgs Boson particle can be separated into other particles in UFO crystal engine design. Diagram 291 -Higgs Boson is split into new boson particles with triple or double mass as they are separated in the UFO crystal vaccum engine using a flurosolar ray laser beam gun invention, crystal wafers, micro, nano wires and carbon – carbon nanotubes, with Five Axial Forces inside a spinning (counter clockwise, clockwise) Higgs Electric Field generated by the NODES. Diagram 292 – Magic Angle Spinning creates the (0) Zero net force of the Higgs Boson particle and Higgs Electric Field generated between the two crystalline super lattice walls in the UFO engine design. Electron hole energy forces generate Blue Visible Lights creates a rotating high frequency > 1428 mhz in a hydrogen line storage in the vacuum UFO engine area. Diagram 293 – RF Frequency amplifies through spinning Higgs Electric Fields (counter clockwise and clockwise) as the spinning proton rings generate TEVATRON energies from colliding particle mixtures with Higgs Bosons, creates recycling fuel formula’s, UFO vacuum design, a vacuum tunnel as electron pencil ribbon laser beams diffract across the crystal lattice walls. Diagram 294 – B(0) Zero rest mass Higgs Boson, Higgs Electric Field with UFO crystal engine design. The axis is Pi, rotation, tilted for the UFO space ship while travelling through the wormhole in space transport equations and Quantum Forces. Diagram 295 -RF frequencies 1- 7 KHZ, spinning samples, Higgs boson particle signals to the Higgs Electric Fields surrounding the UFO crystal engine and NODES wires semi-super conductors, transport equations for cos, and degree changes to make for Magic Angle spinning to be at (0) Zero Net Force. Diagram 296 – Broadlines of spectrum, Radiation, narrow pencil laser beams increases resolution to identify, analysis, spectrum. Mineral oils Neutrinos split to tau particles – Janet Conrad 2008 Mini BOONE experiment data add blue visible light, red infrared laser beams, below the R, B layers of laser beams under the UFO crystalline super lattice engine structure. (just below the BASE of it is where all this activity happens to collide particles, split particles energies. Diagram 297 – Neutrinos (mineral oil covered Janet Conrad 2008 Mini Boone experiment data results) tau particles from the neutrino, it collides with split muons, fermions, baryons and leptons with 3/4 spin in a tunnel that lies under the UFO vacuum engine – a mixture of liquid argon gas, water molecules, vapor (gas) steam invention (see wow data), the neutrino is a wave packet with dispersion – a communication signal that will travel along the blue visible light or red infrared laser beams, pencil laser beam signals in the UFO crystalline engine design. Diagram 298 – EMS Electromagnetic Forces photons, pairs, matter, electron-positron pair, neutrino interacts with charged muons and water in UFO engine design to create new particle properties. high energy neutrons, weak neutral currents, JOULES, neutrino oscillation experiments, fermilab results data. Diagram 300-Quantum Flux Positive Negative Charges in One Particle in UFO CRystalline Higgs Signal Laser Beam Engine. Several videos with formula references and notes for this section. Diagram 300 – formula notes Page 92, along with 13 alien radio signal research video cross references to be blogged after the rest of the formula and diagrams are put together. I also have to do a cross reference of Janet Conrad’s mineral oil neutrino’s miniboone experiments from 2008 data to see what it will ADD to this formula’s instructions for what seems to be 5 UFO engine designs that combine into ONE UFO space ship design. Diagram 300 part II formula instruction notes from page 93 Xenon Xray Laer Beam Technology, magnets, anti-matter, JOULE, 6EQUJ5 meanings. Diagram 302 – JOULES, ampere, electric current as UFO passes through the X, Y Vector axis, accelerates and doubles it’s Mass equation value formula’s. Diagram 303 – Vector Quantity 1 Dimension, UFO steering instructions for X, Y Axis, up, down, left and right while going through a traversible wormhole into deep space travels. 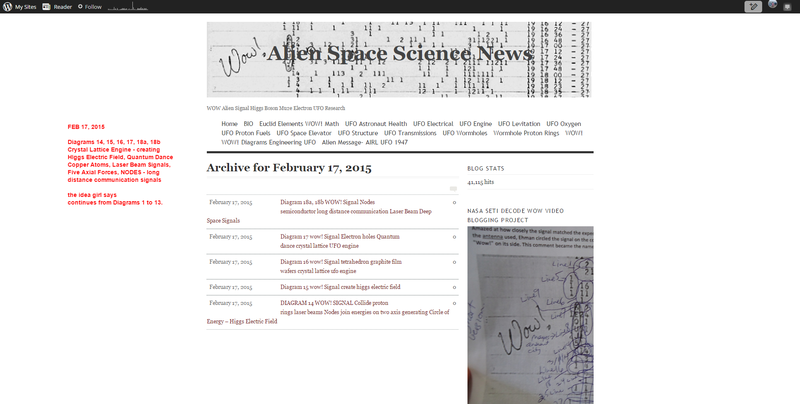 Diagram 304 – Magnitude, head, tail UFO space ship in 2D dimension space. X,Y Vector becomes a number for magnitude, angles for direction while the space ship travels through a traversible wormhole in deep space. Energy creates hydrogen storage and is transported for long distances without conductors as a STABLE energy. Diagram 305 – creating Quantum Energies in particles – electrons, neutrinos, leptons along with the HIGGS electric field and Higgs bosons to values of (0) ZERO – no electric charge, no mass from a positive of negative value. Missing momentum, energies during beta decays. protons transform to neutrons in a atomic nucleus emits a positive or negative electron charge, adds an electron with 1/2 spin. Diagram 306 – combines with Diagram 305, moves the atoms closer together to a ratio of protons plus neutrons. Diagram 307 – Hydrogen Energy STorage, recycling fuels so they never burn out in the UFO vacuum and crystalline super lattice,vacuum tunnel engine structures. Diagram 310 – carbon fiber papers support catalyst (ELAT) electrically conductive fibers with negative electrons and H2O, O2, hydrogen storage pressures in UFO engine design. Diagram 311 – Transport of gases P+, E-. photo voltaic effect, solar converting energy cells in UFO engine design. Diagram 312 – PEM ELAT carbon fiber papers maximizes GAS tranports in hydrogen storage unit in the UFO engine’s design. Diagram 313 – cathode (+), anode (-) PEM unit in UFO hydrogen storage unit engine. Protons travel, catalysts are platinum transitional metals with an electrochemical reaction. Stable electrical decreases the high temperatures making a FUEL solar cell efficient. Diagram 314 – photo voltaic effect, creates voltage, electric current in a material (metals, super alloys – NODES, WIRES, semi to super conductors in the UFO engine crystal lattice design. Sunlight is used to convert solar energy to electric energy. Diagram 315 – Radiative transfer energy in a medium (UFO vacuum engine) form of electromagnetic radiation is created. Diagram 316 – Radiative transport of photons. Spinning TEvatron proton rings that surround the crystalline super lattice UFO engine design, shows pulsating laser beams of light going in and out of the dark matter particles as they absorb and re emit the laser lights. Diagram 317 – Three dimensional cartesian coordinate system R3 Eucliden Space Z Axis, Y Axis, Y Coordinate X axis, Z coordinate, X co ordinate for signal laser beam communication transmissions and steering of the UFO engine’s designs. Diagram 318 – proton laser beam hits carbon target, showers particles pions, kaons and decays to neutrinos see Diagram 319 for how it changes to bits of ASCII code for encoded MESSAGE transmissions in space communications. Diagram 320 – Quadrupole magnets are part of the communications UFO engine design, it shows the configurations of four bar magnets. Multiple expansion of the dipole and magnetic Field, used in particle beam focusing. Diagram 321- rotating clockwise HEF Higgs Electric Field surrounds electrons on wires emitting from a conductor as Photon transport energy occurs while the UFO rotates creating a FORCE FIELD of FOWLER Nordhein Tunneling, Quantum Tunneling. Diagram 324 – ORbital rings, maglevtrain, cable low earth orbit space elevator Earth’s design. Diagram 325 – orbit rings, gravitational curved path of an object. Diagram 326 – gravity well field surrounds a body in space, energy needed to escape. Diagram 328 – Semi conductor, CORE ENGINE, NODES wires, obsidian mirrors, shell of UFO crystal lattice, Higgs Electric Field all generate dark matter energy with electrical laser pulses from the UFO engine’s design. COOLED PLASMA FORMULA’s** The cooled plasma spins around the crystalline super lattice UFO engine it contains particles, and proton rings in it, mixtures that are pulsed through various laser beam guns. Diagram 330 – Polarization density, algebra, higgs electric field, frequencies, dielectric plasma oscillations, Langmuir Waves. Diagram 331 – equation continues from Diagram 330 PW, EW, frequencies, solid graphite film, dependent dielectric function with higgs electric field in UFO engine’s design notes. Diagram 332 – resonance frequency WP, plasma frequency created from the spinning TEVATRON energies of cooled plasma containing cooled rubidium atoms, which change signs from negative to positive to a ZERO (0) value. Diagram 333 – resonance frequency WP square root algorithm, plasma oscillations creates Langmuir WAVES, electron density conducts media, media is graphite, Langmuir waves spins counterclockwise to make rapid oscillations. Diagram 334 – rapid plasma oscillations, Langmuir Waves, rotation of particles as they collide with one another, creating electron density in the laser beam communication UFO engine signals. Diagram 336 – refers to attending the 26th International Liquid Crystal Conference July 31 – Aug 5, 2016 ILLC2016. updated DATA and research for 2016, abstract science paper results blogged. Diagram 336 is two ends of the traversable wormhole showing two bridges of liquid crystal elastomers joining them. Diagram 338a – two blog posts, Part 1 is the research data and cross reference diagrams, photos and links, Part II is the formula keywords – laser beams, visible lights, liquid argon gas, cooled plasma creates a plasma bridge and hyperbole space for two traversable wormholes created by the Y crystalline super lattice UFO engine structure design. Diagram 338b – traversable wormholes at the BASE of the crystalline UFO engine design. Diagram 342a, 342b – aggregate, inter atomic distance, negative charged plasma, negative electrons, liquid argon gas, free electron gas, neutral zero net charged electrons, amplitude, soundwaves in U shape upright or upside down for UFO CORE Engine communication laser beam signals. Diagram 344a,b,c – fully charged positive electron plasma generates higgs electric field that spins right or left and creates a positive charged plasma wormhole end, and surface charged density which is used for recycled energies to POWER the UFO engine space ship design. Charged plasma moves a distance apart x, in the wormhole creating TWO ends, a positive one and a negative one. One end stays with EARTH, the other end of the wormhole will travel with the UFO space ship so it can cut across different galaxies in deep space travel. Diagram 345 – positive charged plasma colliding with atomic nuclei so it splits into two wormhole ends. (+/-) with positive density plasma on one end, negative density plasma on the other end. Diagram 348 – free electron moves through solid crystalline wall y structure of UFO engine design. Diagram 353 hot plasma x rays mass volume space communications UFO engine. Diagram 354a,b space network of electric currents transfer energy from two wormhole ends one is positive the other is negative. Diagram 355a,b plasma’s create dark matter particles, dark energy, interacting with a higgs boson particle with math equations for velocity. Diagram 356 – Planck’s Constant Charge Wormhole Transformations equations. Diagram 358 – Aliasing Signal Waveforms of UFO engine crystalline super lattice walls at each end of a traversable wormhole end? Diagram 381- power of UFO components, piezoelectric crystals surround the Y crystalline super lattice engine UFO structure, charges from laser beam signals bounce back and forth between the two super lattices, surface charge density, recycling energies, higgs electric field pulses the lasers between the CORE UFO engine and the Y structure UFO engine design generates recyling of powers to Diagram 382 and 383.